Weekend Call to Action – Get strategic in online marketing! #WeekendCalltoAction – Get strategic in online marketing with either organic posts or paid advertising! Just do something! TODAY – I put together the best done for you online marketing solution to pump you leads to have you sell all day long! And I wrote about it all week if you follow me, todays’ #BulkFunnelOrderDay! Yes, I can teach someone to gain free leads, I’ve been doing it for 3 years now. I have my own training #TheBLUEPRINT if your interested. What I teach others to do organically helps them convert leads and have been performance results with paid ads! No joke, you can 10x your current pipeline in less than 60 days if you wanted. If you’re not on track to have your best summer yet in Loan Originations, this will help you get there! 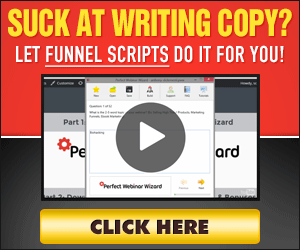 For half the price of typical online marketing funnels I can help turn on the lead flow, and activate the follow up sequences you need to have working for you! I’m looking for 10 LO’s or RE Agents today that want to take advantage of a professional system that includes: Community Page, Professional Advertisement, CRM for leads to go to, sly dial, Text message, and Email drip campaign all set up for you! All you need to do is follow up on the leads that coming flowing to your inbox/crm! Want to 10X your Business — CLICK HERE! Weekend Call to Action – Just do it! #HappyMemorialDay – Thanks for serving if you did. This weekend’s CALL to ACTION is all about making an impact in your local Real Estate market. I talk to LO’s all the time that ask me, “how do I break in to the Realtors in my area”? Or they just don’t know where to start. I say if you’re doing mortgages you should have a Rolodex of Realtors that you network and follow up with. Like 30 or more. And out of that you will have eventually 7-10 Realtors that use you. Well this is a way to stand out in the crowd, to make an impact to the local Realtors you meet and potentially have the ability to gain referrals from down the road. WHY? Because they REMEMBER YOU! Thankful Thursday – The power of Self Talk & Not giving a Hoot! If your in Sales you want to watch this one. Fact will always remain, that those that “DO” are the one’s that get paid. It’s funny, so many sales people doubt themselves or think doubtful in other words. You should really talk to yourself everyday, self talk is so powerful. I can give countless examples of when I told myself “this call is it” and then landed the sale. I can give countless examples of when I was told I was loud or people in a call center said, man does that guy ever shut up! HA HA>.. I was the doer, and why I will always be a top sales guy. You should too, stop caring what the other sales people think in your office so much, start caring about your paycheck. Stop hanging out with the “cool kids” at the cooler, and make an extra call. Stop caring if the client will get annoyed, if you have value give it to them with passion. I’m so thankful for my life, as I embraced these at a young age, and these made me push forward, dispite anyone ever telling me I couldn’t or shouldn’t. Watch below’s video, if your in sales this should hit home. Make Thursday the most productive day of the week.